Convinced that during this 21st Century we will see that The China Factor will become more dominant in our world, I like to provide a deeper understanding to all of us who are interested in China and maybe even concerned about China. 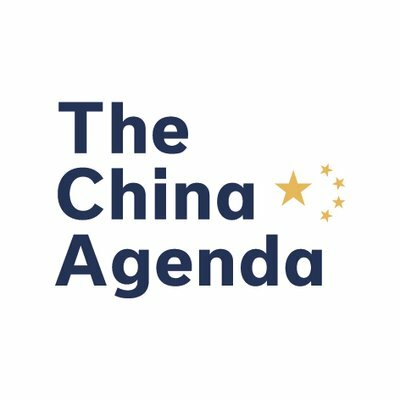 What is and who sets 'The China Agenda'? How does it influence our global governance, our economy and competition in business and our daily life? How can we best respond to The China Agenda? Annette Nijs (Dutch, 1961) is a China expert and economist. She is highly respected for her knowledge about global economic, industrial and innovation trends. She is appreciated for her deep insights into Chinese world politics, Chinese market economy with Chinese characteristics, Chinese management culture and the rise of Chinese companies around the world. Also familiar with Europe and Africa, she is regularly approached to advise on international business strategies. Since 2009 she is the Executive Director Global Initiative of CEIBS, the China Europe International Business School. CEIBS is a top 3 player in Asia and is in the top 10 of the Financial Times global ranking. In addition to Shanghai, Beijing and Shenzhen CEIBS has a campus in Europe, Switzerland and Africa, Ghana. In November 2014 Nijs was appointed for 2 years as one of the five members of the Foreign Experts Advisory Committee of SAFEA, the State Agency for Foreign Expert Affairs. This advisory body presents concrete recommendations from foreign and Chinese experts on the economic development and social progress of Chia to China's Central Leadership, which uses these recommendations as a reference for it's policies. Nijs is former Secretary of State for Education, Culture and Science in the The Netherlands and former member of the House of Representatives of the Dutch parliament. She led the Europe China Institute of Nyenrode Business University. Nijs began her international career for Shell where she worked for more than 10 years in Europe, the United States, the Middle East and Asia in the financial and commercial leadership roles. Nijs is a member of the International Advisory Council of Nyenrode Business University; member of the Supervisory Board of 'The Hague Partners'; Chairman of the Advisory Board of the Global Nudge Leadership Challenge and member of the Jury of the International Friendship Award, an IESE Business School initiative which awards Chinese business leaders, who have a special relationship with Europe. Nijs is an alumnus of Harvard Business School (AMP in May 2010), holds an Executive MBA from London Business School (July 1999) and a Masters in Macroeconomics of Erasmus University Rotterdam (June 1987). Nijs received the Knighthood of Orange-Nassau, a royal award from The Netherlands in 2004. She also received the Chinese Government Friendship Award in 2015 - the highest recognition from the Chinese Central Government for foreigners, who have made an extraordinary contribution to China.